Tesla Model Y News: Positive Reports About Elon Musk’s SUV ‘Exaggerated’? 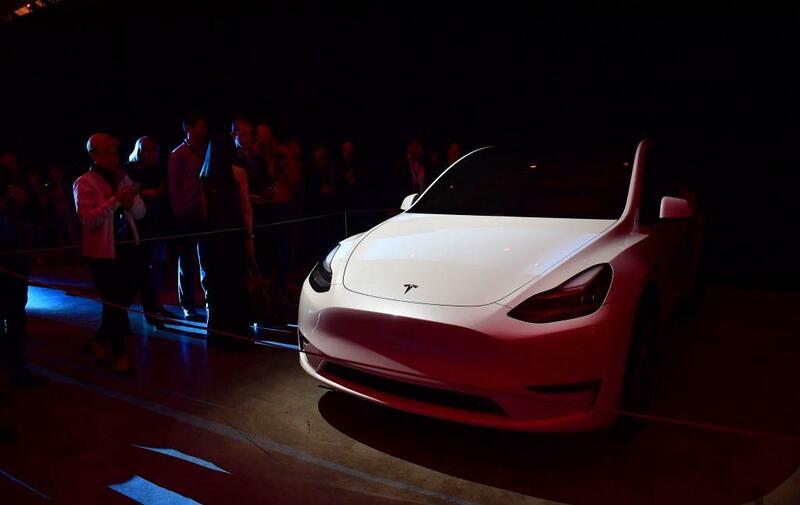 The Tesla Model Y successfully made headlines last week when it was launched via a live unveiling on the Tesla website. Many news sites gave it positive feedback. Tesla CEO Elon Musk’s Model Y impressed spectators with its zero to 60kph acceleration in just 3.5 seconds and a battery life that boasts of covering 300 miles in one charging. This truly sets Tesla as one of the leaders in EV technology. The design is also not too shabby as the Model Y is a nod to the Model X (only smaller) yet is definitely roomier than the Model 3 sedan. The size will surely make it a worthy competitor in the growing SUV market in the U.S. and the promised price of $39,000 makes it just slightly more costly than the Model 3. Musk, Tesla’s product architect, has high hopes for the crossover SUV and claimed that it will sell 50 percent more than the fairly successful Model 3 sedan. However, some analysts were actually underwhelmed by Tesla’s latest offering. One report claims that the praise for the upcoming SUV is exaggerated and that the company has made a mistake in terms of design. According to the report, the design is neither functional or attractive as it doesn’t offer the expected leg room from most SUVs. As for the price range, it could be misleading as Tesla is expected to come out with the premium models first before it can finally release the $39,000 base model. If the Model 3 is any indication, it might take the car brand a year and a half before the more affordable Model Y actually makes an appearance. For now, expect the $50,000 variants to first come out next year. The negative impression seemed to resonate even in Wall Street as some financial analysts actually thought the new SUV is also underwhelming. "Overall, we found the event somewhat underwhelming with no major surprises," Emmanuel Rosner of Deutsche Bank said in a note. "Model Y reveal underwhelmed us, especially since the night held no surprises," Jeffrey Osborne, Cowen analyst, said. Osborne also shared that what investors were looking for was a refresh of the Model S and Model X lines and probably a new software.